Candles versus batteries? This is the real fight for lighting in homes with no electricity. This is real; a battery-powered flashlight has a rough time competing with candle. A candle has a tough time competing with kerosene and a wick. 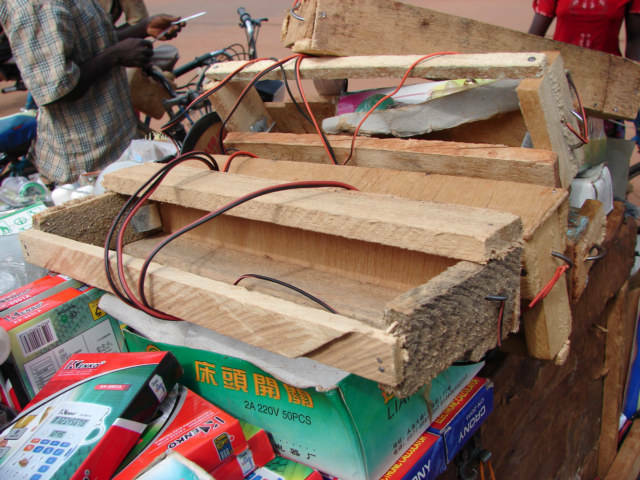 Batteries are slowly becoming a cost effective feasible way to light houses in the world. 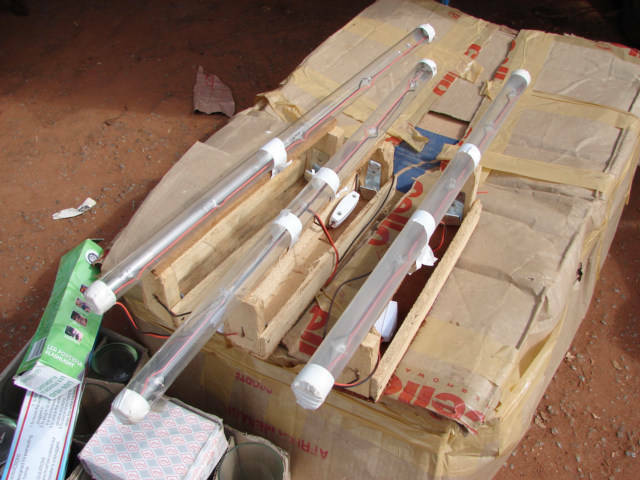 This is the second version of this home made LED light I have seen, I took these photos in Orodara, Burkina Faso and saw them all around the country of Burkina Faso. The first version of this home made house light I saw in Katmandu Nepal. They used 4 1.5 Volt Batteries and said it would last a month. 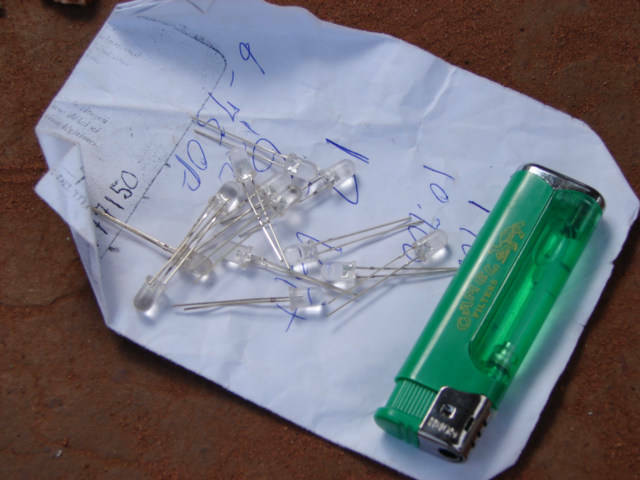 The plucked the LED bulb from a Chinese made cigarette lighter and used them to make the light for the house. This is real, this is not a toy, this is real people using their noggins to create something they will buy. The cost of candle is cheap, works, and is efficient; to surpass a candle is a feat.